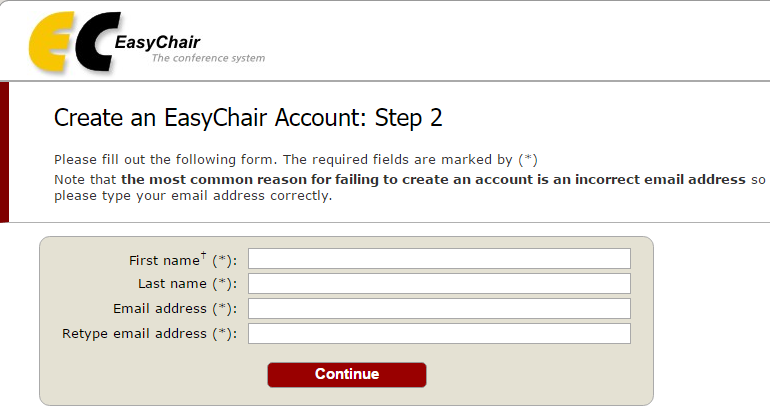 All conference articles must be uploaded to conference management system called EasyChair, they will be reviewed there aswell. If you are having troubles during any steps of work upload, you can use these steps. First of all you must sign up in the system. Open the system homepage and press “Signup” button. After captcha completion fill all the needed fields. After that you will receive the mail in the mailbox you entered in the form. Click the registration link in this mail. On the page you enter you need to fill information about yourself. Fields marked with asteriks (*) are mandatory. Now you are successfully registered in the system. Go to system homepage and click “Log In” button. Enter your user name and password “Log In“. 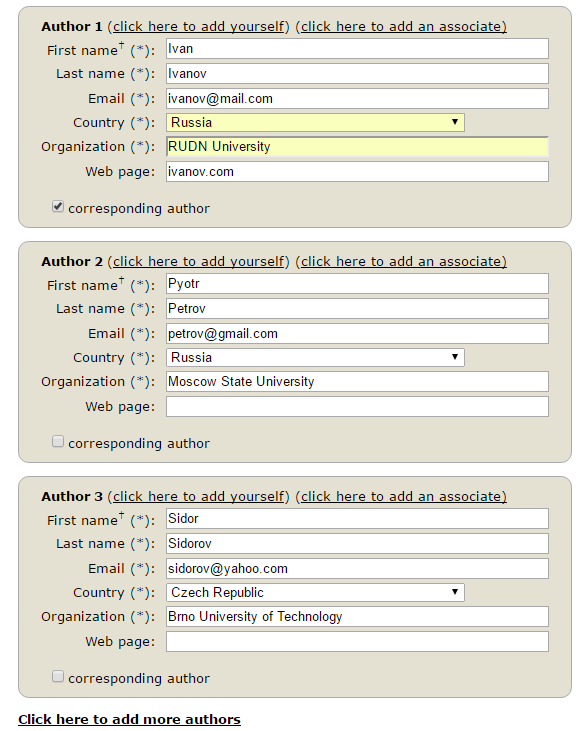 Go to the conference page and click “enter as an author“. Now you can start uploading your work. Now you need to feel all the information about work and authors. Now upload your article. For this press “Select File” button and choose the needed one. Note that maximum file size is 20MB, file extension – PDF only. You have finished entering all the needed data and ready to submit the work. Make sure all the information is correct and press “Submit” button. 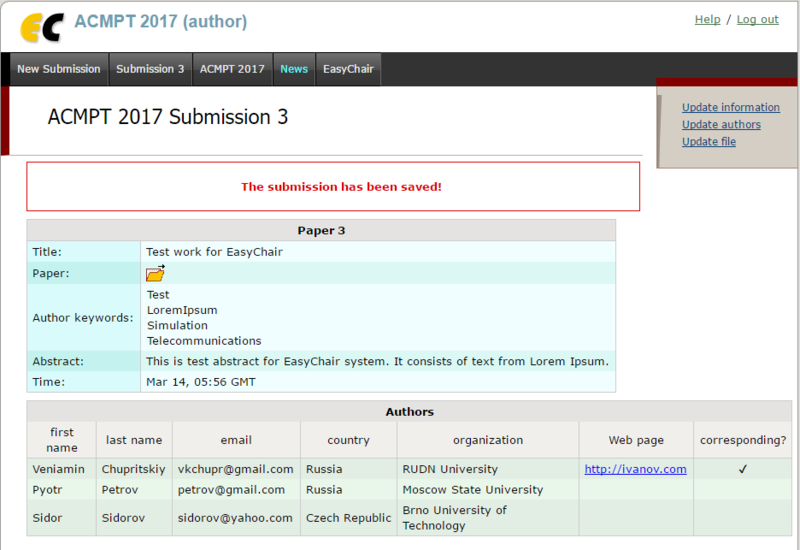 After the submit you will be on page about your work. Here you can watch all the data about it and edit it, if needed. For editing, select one of the fields on right side of the page.